We talk to one of the stars from Les Miserables. Cameron Mackintosh presents the new production of Alain Boublil and Claude-Michel Schönberg’s Tony Award®-winning musical phenomenon, LES MISÉRABLES, direct from an acclaimed two-and-a-half-year return to Broadway. Set against the backdrop of 19th-century France, LES MISÉRABLES tells an unforgettable story of heartbreak, passion and the resilience of the human spirit. Featuring the beloved songs “I Dreamed a Dream,” “On My Own,” “Stars,” “Bring Him Home,” “One Day More” and many more, this epic and uplifting story has become one of the most celebrated musicals in theatrical history. With its glorious new staging and dazzlingly reimagined scenery inspired by the paintings of Victor Hugo, this breathtaking new production has left both audiences and critics awestruck. 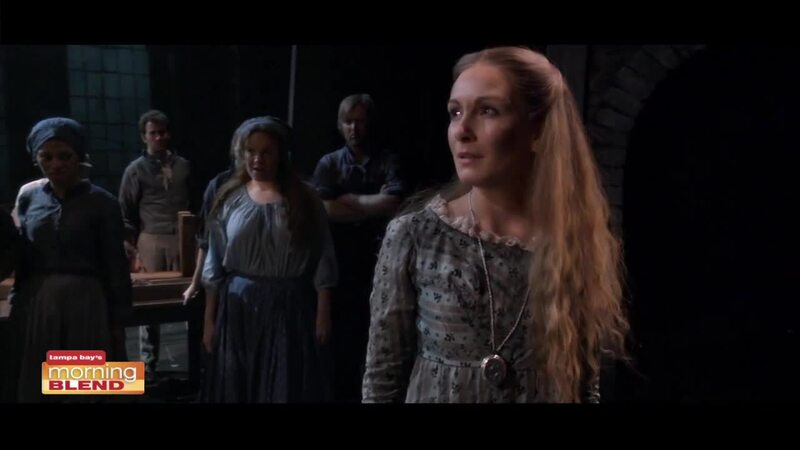 “Les Miz is born again!” (NY1).